Cajun’s Aviation Dream, the nonprofit that was established in honor of Stephen Del Bagno, held a fundraiser for scholarships that will send students to the Experimental Aircraft Association’s (EAA) Advanced Air Academy Camp. 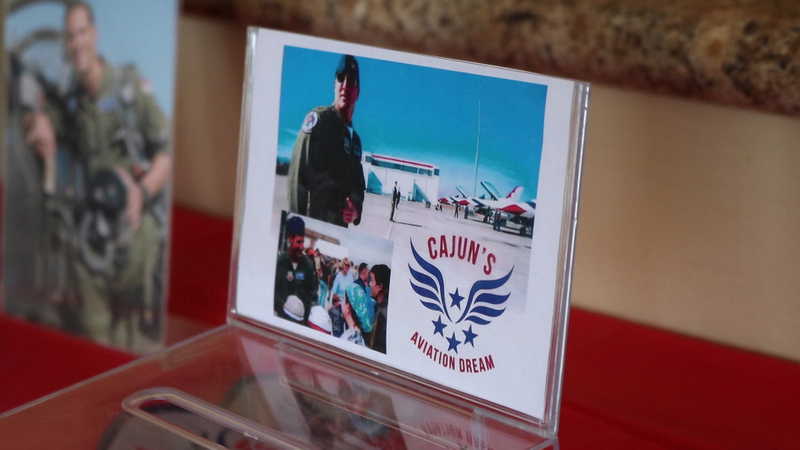 Cajun’s Aviation Dream is a 501c3 nonprofit dedicated to “carry on the legacy of Maj. Stephen “Cajun” Del Bagno by helping stellar young Americans chase their own dreams to fly and pursue their passion for aviation,” according to the website. Through various fundraisers, the foundation’s founders hope to provide scholarships so that other aviation dreamers can have the opportunities and find their passions, just like Del Bagno. The foundation’s goal is to be able to fully pay for the whole trip for the EAA camp for two teens every year.